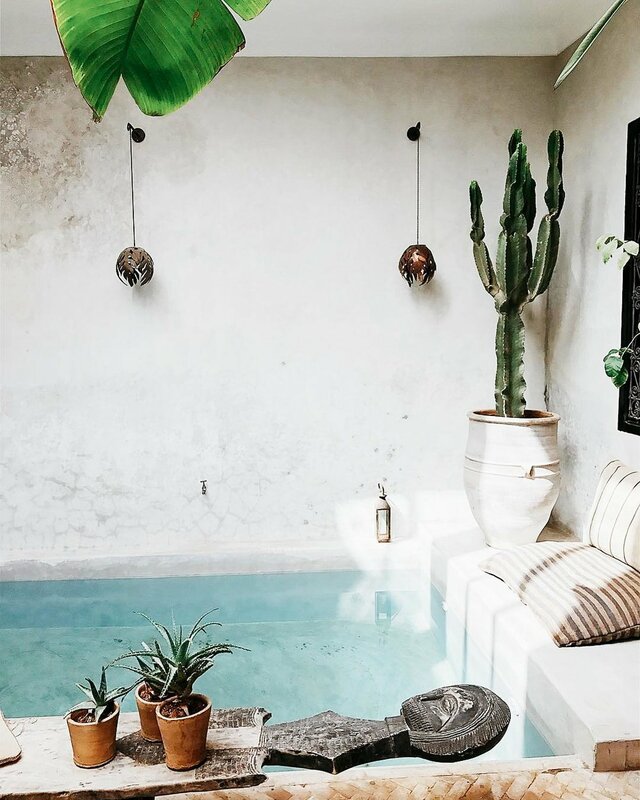 A place where friends, world travelers, design lovers, foodies and adventurers can stay: La Maison is an oasis of space, chilling out in the middle of a mingling local area in the ancient medina of Marrakech. 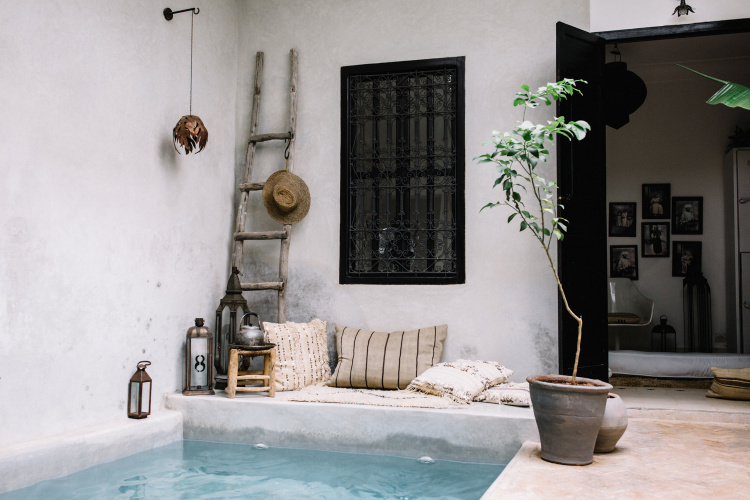 The Riad is nestled in the middle of the Eastern part of the Medina, surrounded by colourful street markets and the real buzzing everyday life yet with little tourism and only a few guest houses. But just a fifteen minute walk and you will find the main square, full of the classic Marrakech markets, where you can shop textiles, rugs, food, and experience the local way of living. The home features the owner's collections of local artisan work, pottery, rugs, textiles, and unique objects from around the world. It counts with three bedrooms, each designed in a unique way, and a traditional patio with a dip-in and refreshing pool for those hot summer days. The top floor features a big rooftop terrace, ideal for sunbathing, or sleep under the stars during summer nights.